One day a week Ms. Elizabeth goes through the same routine: After completing her morning chores, she packs her bag, and heads to her Thursday morning meeting. But instead of heading to her local quilting bee or knitting circle, the 91- year old woman is headed to The Jones Center to take part in one of her favorite activities: ice skating. 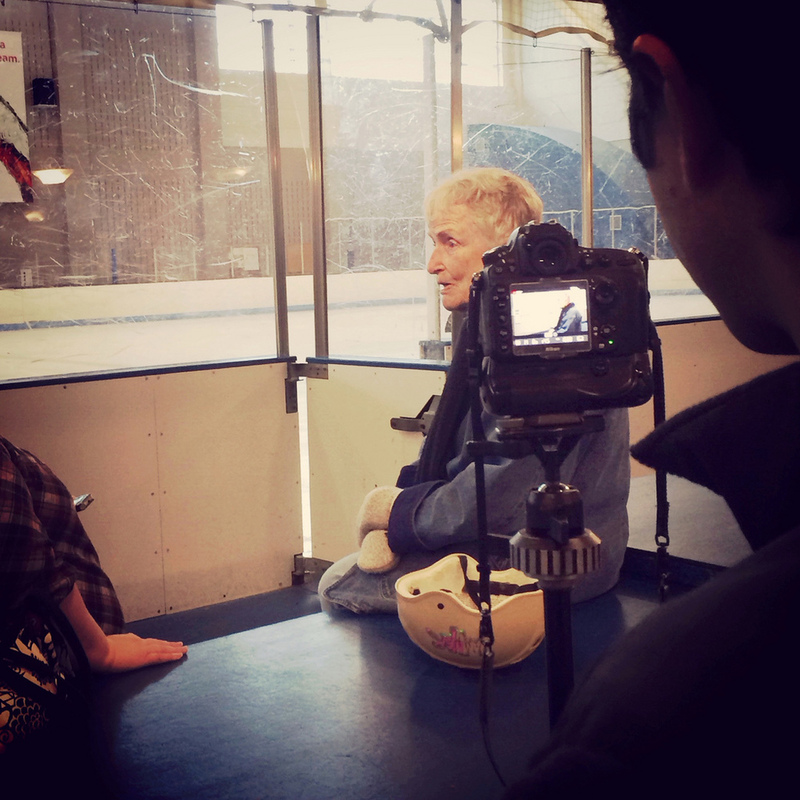 Instead of a colorful calico or her favorite set of knitting needles, Elizabeth packs her mittens, her skates, and her skateboard helmet, because, as she explains, "you have to be a bit more careful as you get older". She loves that by ice skating she has a chance to re-visit her childhood.